When most people think about duct cleaning, they often don’t think about the exhaust vent for their dryer. It’s just as important to make sure those get cleaned out. In some ways, the dryer vent is even more important than the HVAC system. Here are 5 reasons why your dryer vents should be cleaned. Dryers run hot, and lint is highly flammable. This can be a dangerous combination. According to the US Fire Administration, clothes dryers are responsible for more than 15,000 structure fires each year, and 80% of those are due to clogged dryer vents. A clogged dryer vent could mean your clothes will need multiple cycles before drying correctly, or will need to run longer. This means that the proper amount of hot air is not reaching your dryer. Multiple cycles and extended drying times mean additional energy spent and could lead to an increase in your electrical bill. The purpose of the dryer vent is to release moisture and hot air outside. The moisture can sometimes create wet spots inside the tube. Built-up lint can get caught in these wet spots and create mold. Like any other appliance or machine your dryer will last longer and work better if it’s properly cared for. Cleaning the vent regularly will help ensure that your clothes are being dried in a timely manner and you aren’t unnecessarily wasting energy. Extended drying times can even cause strain on your fabrics. 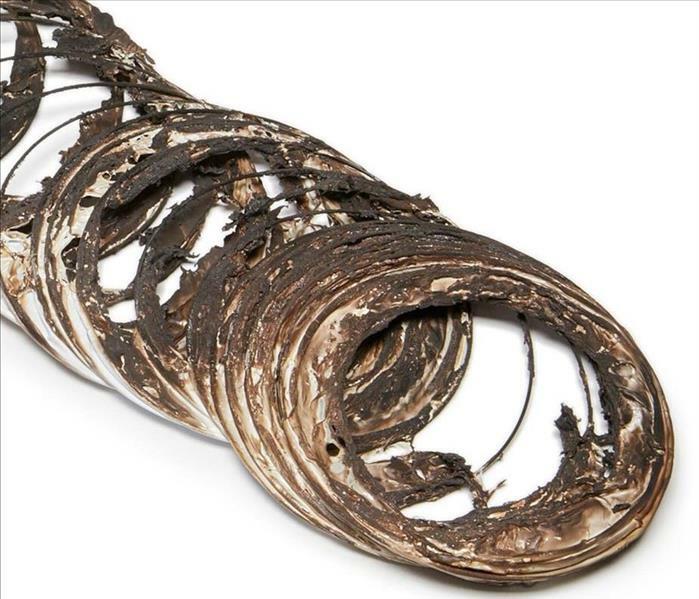 A dryer that continues to run with clogged vent can cause internal problems and require repairs. This means more money out of your pocket, and your household budget. Your dryer vent should be cleaned once a year. If you’re unsure of how to clean your vents or want professional assistance, contact SERVPRO of Casper today! The best way to protect your pets from the effects of a fire is to include them in your family plan. This includes having their own disaster supplies kit as well as arranging in advance for a safe place for them to stay if you need to leave your home. When you practice your escape plan, practice taking your pets with you. Train them to come to you when you call. In the event of a disaster, if you must evacuate, the most important thing you can do to protect your pets is to evacuate them, too. But remember: never delay escape or endanger yourself or family to rescue a family pet. The National Fire Protection Association estimates that nearly 1,000 homes fires each year are accidentally started by the homeowner’s pets. Remove Stove Knobs – Be sure to remove stove knobs or protect them with covers before leaving the house – a stove or cook top is the most common piece of equipment involved in a pet starting a fire. 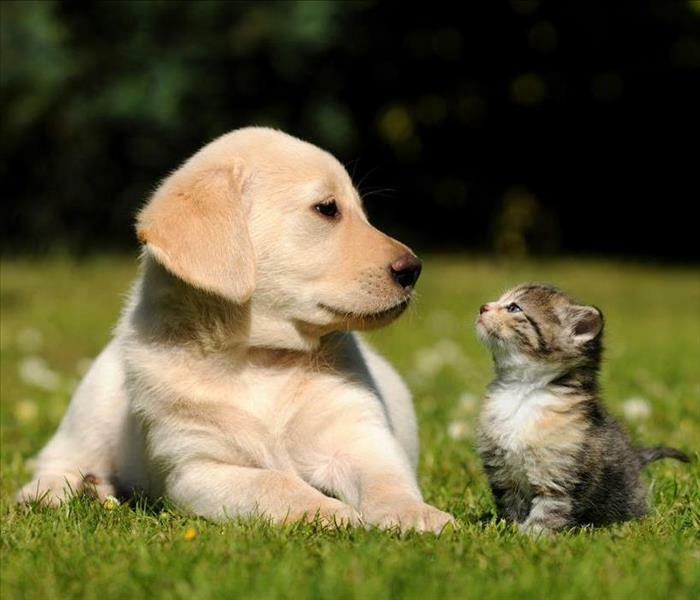 Secure Young Pets – Keep them confined away from potential fire-starting hazards when you are away from home such as in crates or behind baby gates in a secure area. Utilize a pet alert window cling. Write down the number of pets inside your house and attach the static cling to a front window. This critical information saves rescuers time when locating your pets. Make sure to keep the number of pets listed on them updated. 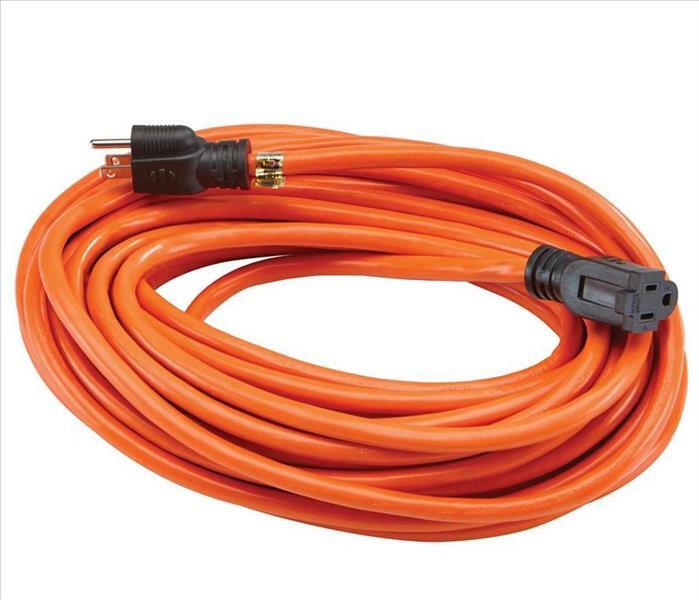 Using extension cords properly is critical to your safety. With continuous use over time, an extension cord can deteriorate, creating a potentially dangerous electric shock or fire hazard. The Electrical Safety Foundation International offers the following tips for staying safe from electric shock and electrical fires. A heavy reliance on extension cords is an indication that you have too few outlets to address your needs. Have additional outlets installed by an electrician where you need them. Buy only cords approved by an independent testing laboratory, such as Underwriters Laboratories (UL), ETL-SEMKO(ETL) or Canadian Standards Association (CSA). RAIN IS ON THE WAY, ARE YOU READY? Rain is on the way!! Before you know it, Spring will be here, and we will get rain. Rain can be a good thing as long as it’s not in your house. 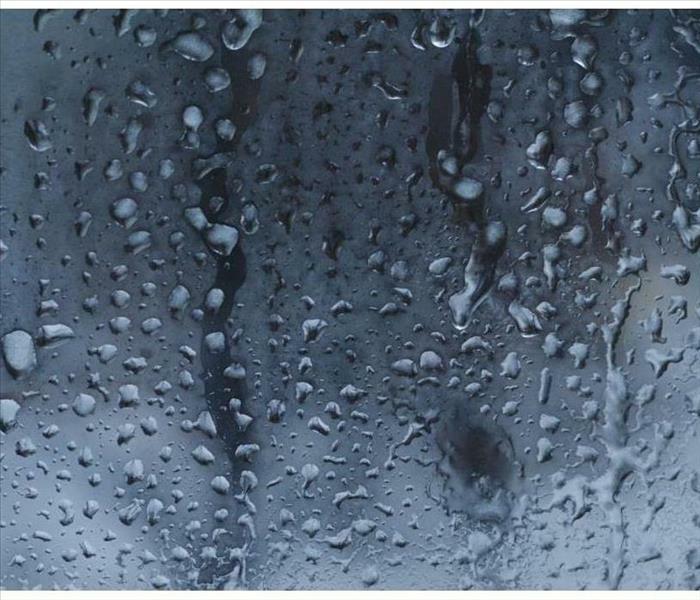 Here are some helpful tips to try to keep rain out of your home or building. Get your yard ready for the rain by running a metal rake over the tops of shrubs and flowers beds to loosen the soil. This will allow the dirt to better absorb the excess moisture. This should only take a few minutes, but you might prevent rain water from pooling or causing a small flood. Close all of your vents and windows. If you forget to do so, you could end up with costly damage. Remember to check rooms that are easily forgotten, such as basements, attics and any rooms you don’t go into on a regular basis. Clean your gutters. The leaves aren’t falling yet, but other debris can clog up your gutters. Clean gutters will ensure that excess rain water has proper runoff from your roof. Know your roof. Don’t be blindsided by roof damage in the middle of a rain storm. Make sure to get annual inspections and know when your roof is in need of repair. 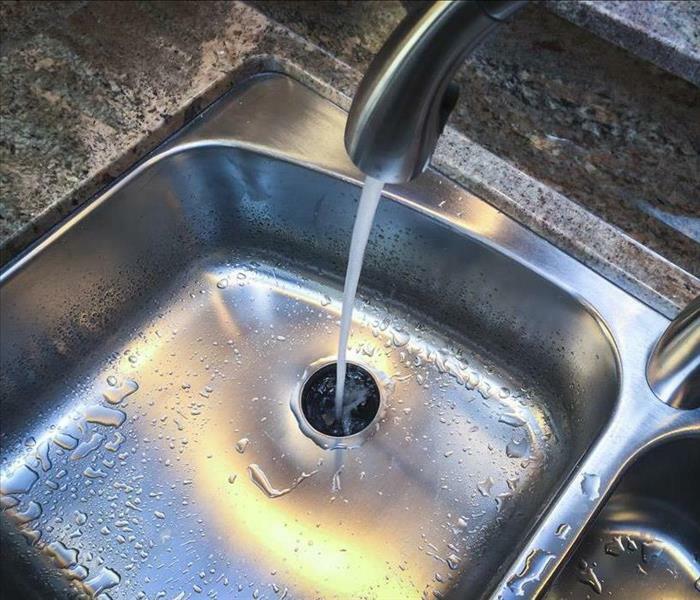 If water still finds its way into your home or business, don’t worry. We will perform a free inspection and damage assessment, and talk about your options We are always available at 307-235-6558. When we get contacted to respond to a fire damage, our first step is to do an assessment. We look to see what is affected, how severely, and determine our initial course of action in the restoration process. If a fire has affected the structure severely enough that substantial construction will be necessary, we will typically start the job by packing out the contents from the property. 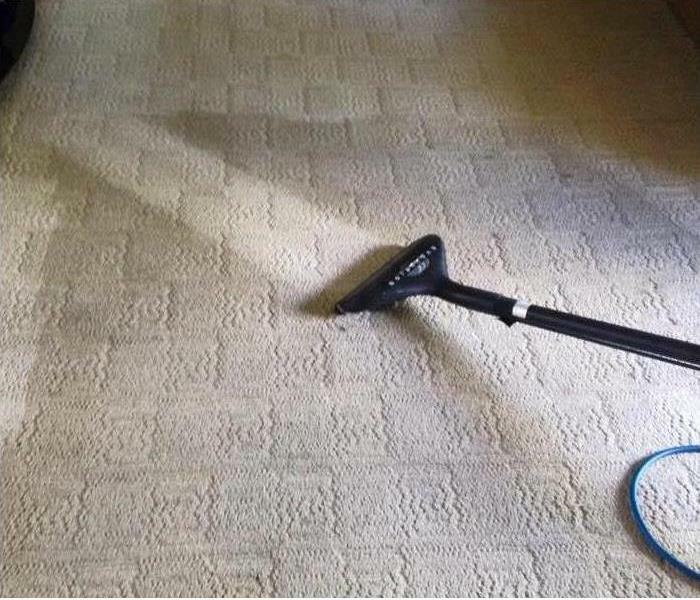 Sometimes, this will be necessary in a few rooms, or a level of the house. On other jobs, it may be necessary to remove all contents from the property to make way for demolition and reconstruction. Once the contents are packed out, we bring them back to our shop to be cleaned and deodorized. As part of the cleaning process, the contents may be treated with ozone or thermal fog to reduce smoke odor. Contents that were packed into boxes are unboxed, cleaned, deodorized, then re-packaged into clean boxes. 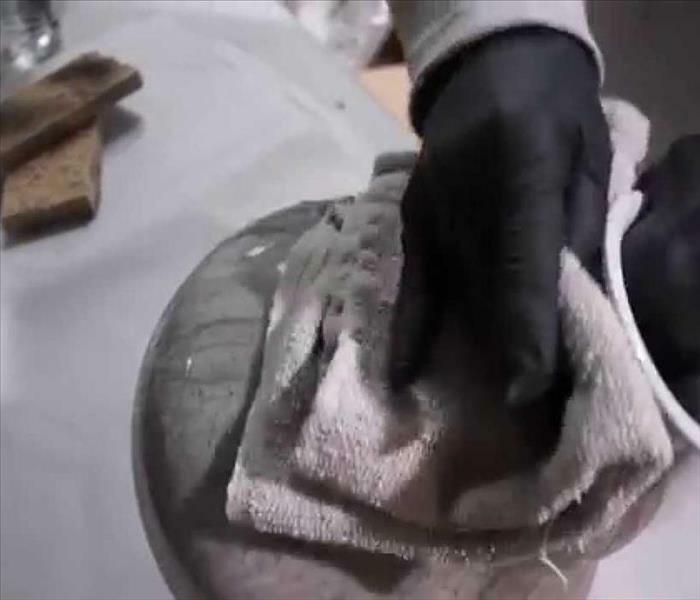 Often, some of the contents cannot be fully restored, or restoration may exceed the cost of replacement. For these non-restorable items, we isolate them from the rest of the contents, and store them to be inventoried later. After contents restoration is complete, the clean, deodorized household goods are stored in our temperature-controlled facility, and returned to the home once structural restoration has been completed. Pumping out 250.000 gallons of water. We received a commercial water loss in Casper on a Saturday afternoon. The source seemed to be a broken pipe in the utility room. Most of the flooring in the structure has been affected, and condensation has started affecting other materials in the area. 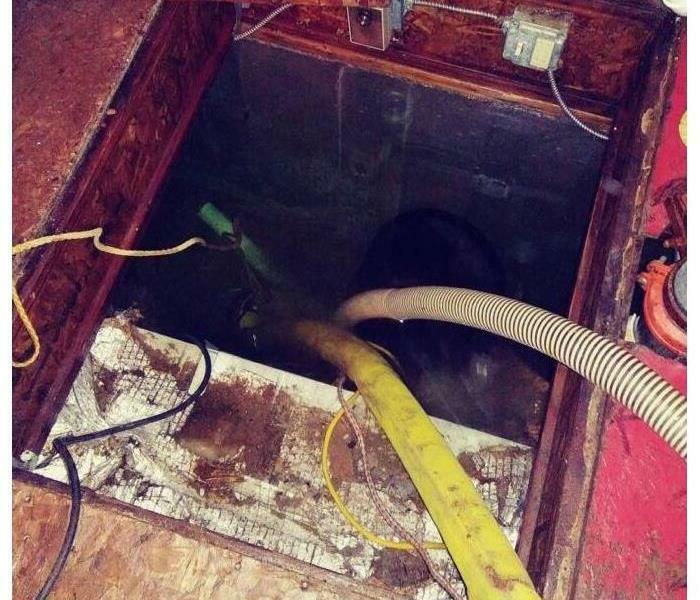 In the crawl space there is about 250,000 gallons of water. We are doing the restoration in stages. The first night, we ran two submersible pumps for a few hours, and did water extraction on the carpeted floors. We placed air movers, portable desiccant dehumidifiers, and 2 low-grain refrigerant dehumidifiers. The following day, we continued to perform volume pumping in the crawlspace, and adjusted the drying equipment. On the third day, we continued the volume-pumping efforts, and made arrangements for larger commercial drying equipment to properly address the nature of this large water damage. The various species of mold that can grow in a home or business can vary from region to region. Certain varieties of mold may be more common in the Southern parts of our country, but rare in Northern regions. 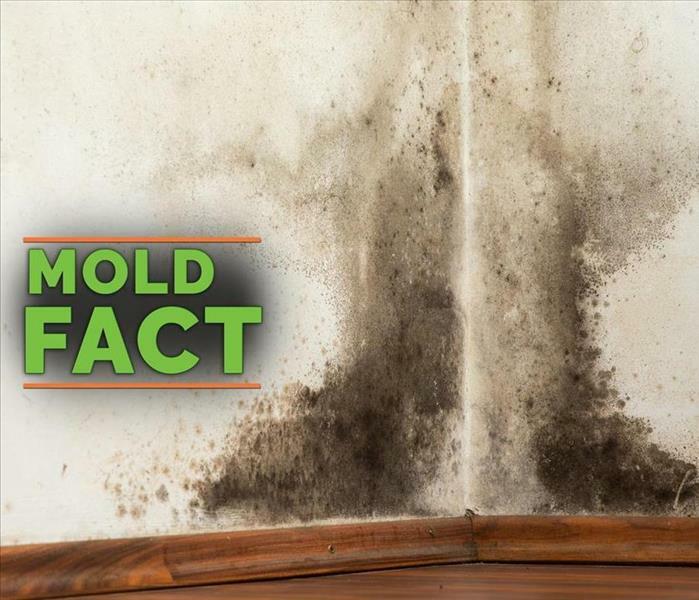 In the Rocky Mountain region, the most common mold types found in homes are Cladosporium, Penicillium, and Aspergillus. Stachybotrys, often referred to in the media as “the black mold”, can occur in Wyoming, though it is not as common. The only way to determine what species of mold is present in your home or commercial property is through testing by a qualified Indoor Environmental Professional (IEP). Through a series of air sampling and/or surface sampling, an IEP can determine what molds are present in your home, and the levels of concentration. They can also write a mold remediation protocol, detailing precisely what steps need to be performed in order to effectively correct the mold issue in a home or business. The professionals at SERVPRO of Casper are certified and highly-trained in mold remediation and removal. We carefully follow written IEP protocols to remediate the problem in your property, and bring it back to a safe, normal state. Know the signs of carbon monoxide poisoning. 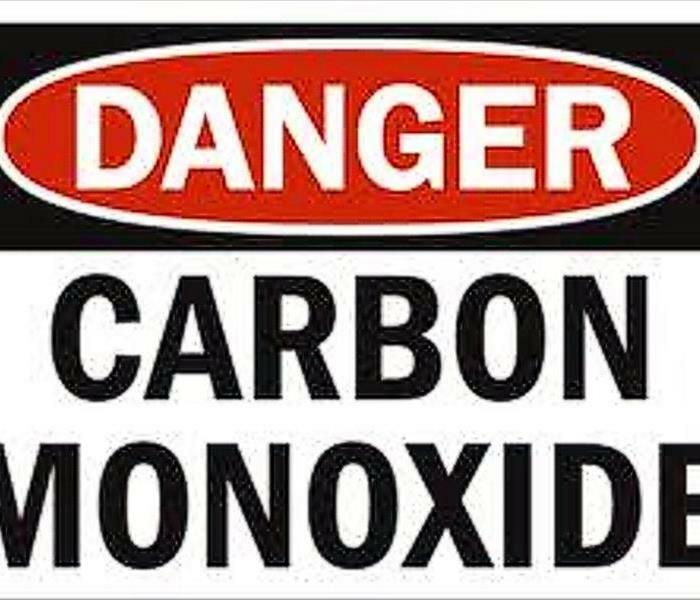 There is always a risk of carbon monoxide poisoning in your home or business. There are various appliances and systems that could accidentally introduce carbon monoxide into your building, and cause poisoning. Household appliances, gas fires, boilers, central heating systems, water heaters, cookers, open fires that use gas, oil, coal and wood can all pose a risk. Carbon monoxide is a colorless, odorless, tasteless gas that can be very dangerous at high levels. It can be particularly dangerous for people who are sleeping or intoxicated. If you feel you have been exposed with carbon monoxide poisoning, get into fresh air immediately and seek medical help. If you go to the hospital, they may have you breathe pure oxygen through a mask. This helps oxygen reach your organs and tissues. Hyperbaric oxygen therapy may be used in cases of severe carbon monoxide poisoning. Hyperbaric oxygen therapy is air pressure that is about two or three times higher than normal. Hyperbaric oxygen therapy may be used in cases of severe carbon monoxide poisoning. 3/14/2019 - RAIN IS ON THE WAY, ARE YOU READY?